Gorgeous shorts & heels - show off your long legs beautifully! 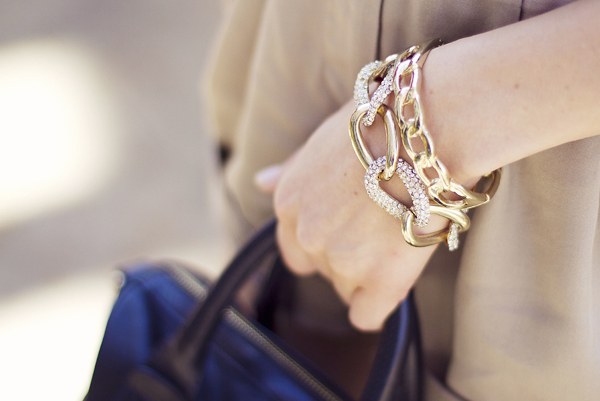 Those bracelets are so beautiful! Lovely outfit, simple, yet very elegant. u look so great in those killer sandals ! Gorgeous look El. I resisted wearing my winter coat this past week, I do regret it though, Tuesday was a particularly cold commute. Have a fab weekend. Stunning! I love the outfit from head to toes. 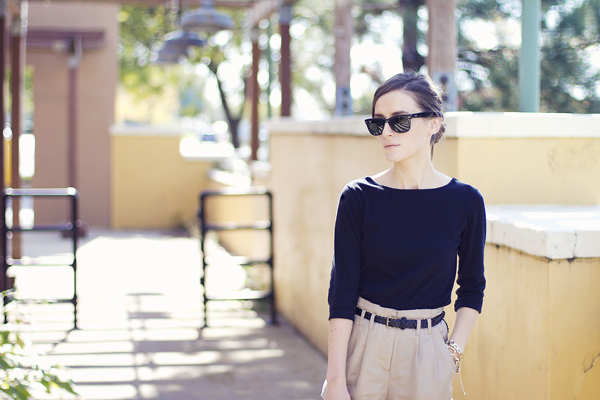 Simple, elegant summery outfit. This one is a classic and will look just as perfect on you next spring! Love the look, those shoes are amazing! The shorts are cute and super flattering! I love this look. Very simple and elegant! Just discovered your blog, and I'm following you right now, your style is unique and inspiring!